Nintendo’s ace IP, Pokémon, is the highlight of every E3 session, and there have been various rumors before this year’s E3 about Nintendo’s new Pokemon game. Recently, Nintendo announced the New Pokemon game that will be the remake of Pokemon Yellow for Nintendo Switch. 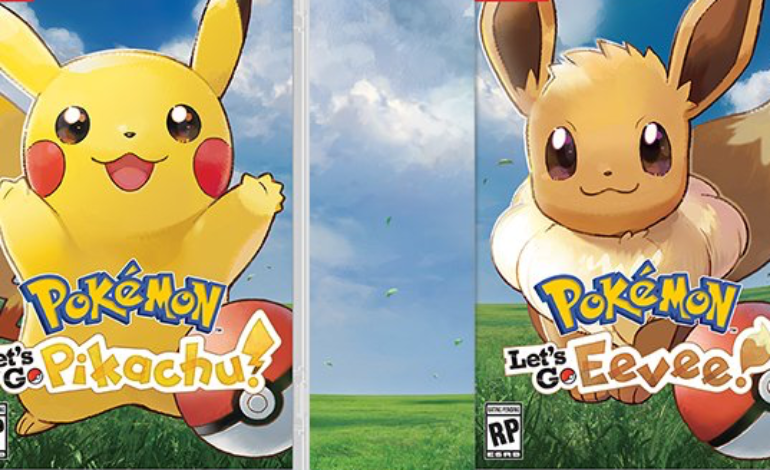 According to the tradition of Nintendo Pokemon series, the Nintendo Switch version of Pokemon Yellow will be divided into two: Pokemon Let’s Go Pikachu and Pokemon Let’s Go Eevee. From all the information already known, this remake will be formally released on November 16, 2018. The game will be based on the original version of Pokemon Yellow with new features including the connection of Pokemon Go and the two players game mode supporting by Nintendo Switch technology. As the first Gameboy Pokemon orthodox sequel on the Nintendo Switch, Pokemon Let’s Go will be fully adapted and improved by the newest Nintendo Switch’s various technological functions. In the teaser trailer on the Pokemon Twitter, it can be found that the sequel will support somatosensory operations: players can complete the operation of capturing Pokemon by swinging the handle or a Poke Ball accessory. On top of that, the core concept of the Nintendo Switch is about player’s interaction and sharing, and the feature of Nintendo Switch’s splitting double handles shows its compelling interactive gameplay potential where two players can enjoy the game together. Furthermore, with the buff of the Nintendo Switches’s visual technology, the game screen has resulted in high-quality resolution on the Nintendo Switch and TV. Pokemon Let’s Go will also interact with Pokemon Go to extend the pervasive game experience of the Pokemon universe through different gaming and media devices including Nintendo Switch to TV, smartphones, tablets, and a new Poke Ball accessory. Since there is a connection feature between Pokemon Go and Pokemon Let’s Go, players can transmit their Pokemon in the Pokemon Go app to the Pokemon Let’s Go game through the internet. Because of that, Pokemon like Pikachu can jump out of the screen and break the boundary between the digital game to the real world, and players can capture Pokemon anywhere at anytime.